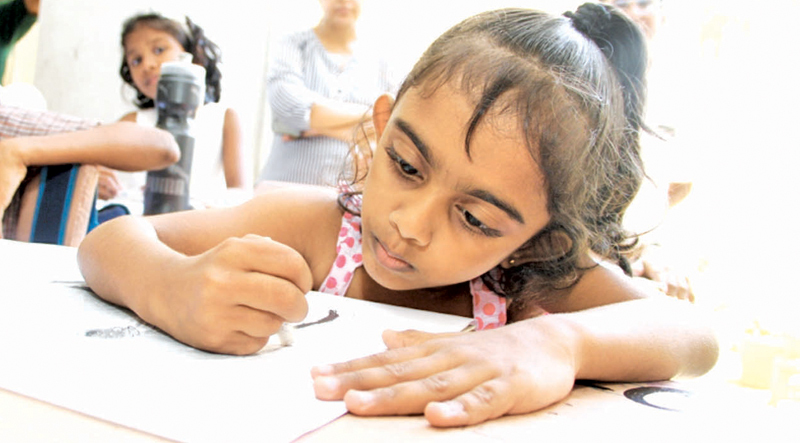 The art workshops which are conducted as part of the 2018 Mihira, Bruhaspathi Ranpath National Children’s Art Competition held its third workshop at Yashodara Devi Girls’ College, Gampaha, on March 20. 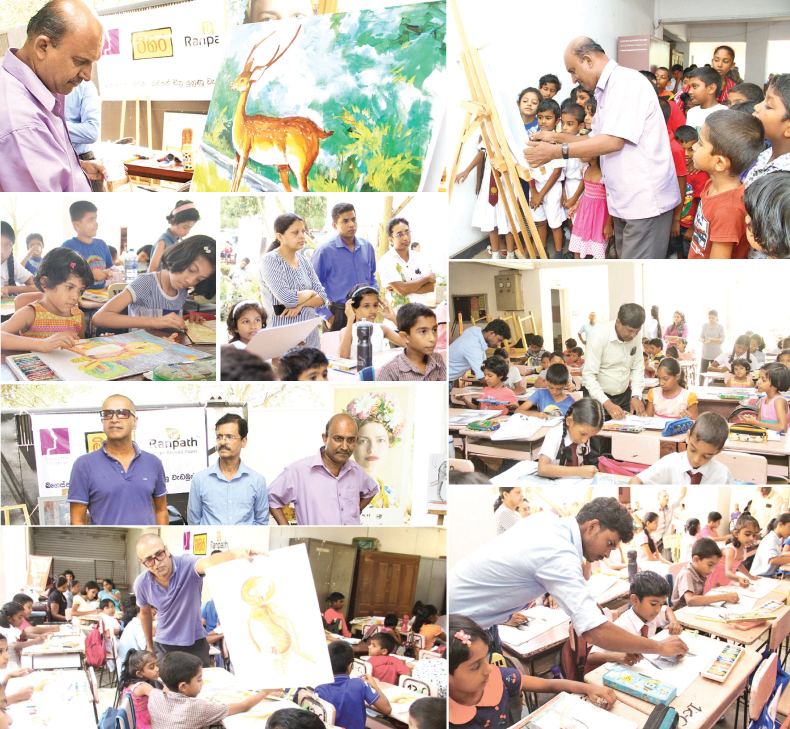 The event was held as part of the project to enhance children’s flair for painting. Conducted by Minira Children’s newspaper and organized by Bruhaspathi Academy this event is sponsored by Ranpath Paper Pvt Ltd. Renowed artist Ishan Senaka Hewage conducted the workshop in which children were taught the basics of using their artistic talents to create a painting. Ranpath Paper Pvt Ltd Managing Director Niroon Buddhasiri, Bruhaspathi Academy Head Harish Walpola, Mihira Editor Jagath Hewapanna, journalists Manjula Dissanayake and Harshini Gamage, Mihira newspaper artist Saman Sri Kantha attended the event which saw many young hands putting their skills to a test. The students who took part in the workshop and the students of Bruhaspathi Academy sang songs before the event concluded.